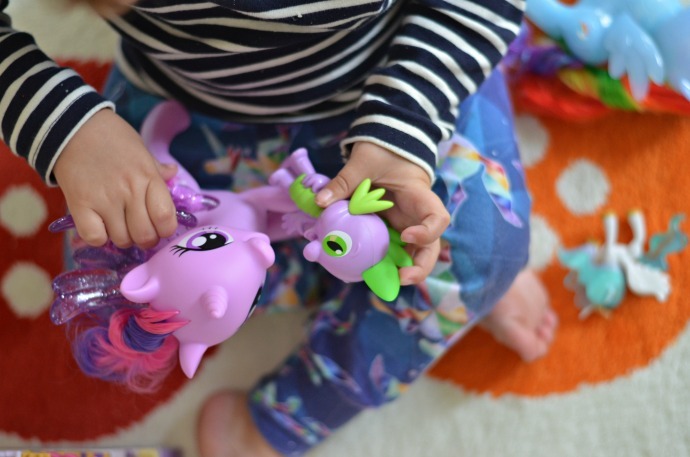 My Little Pony is a toy I remember from my childhood and I am really enjoying watching my children connect with the same make believe world that I did. 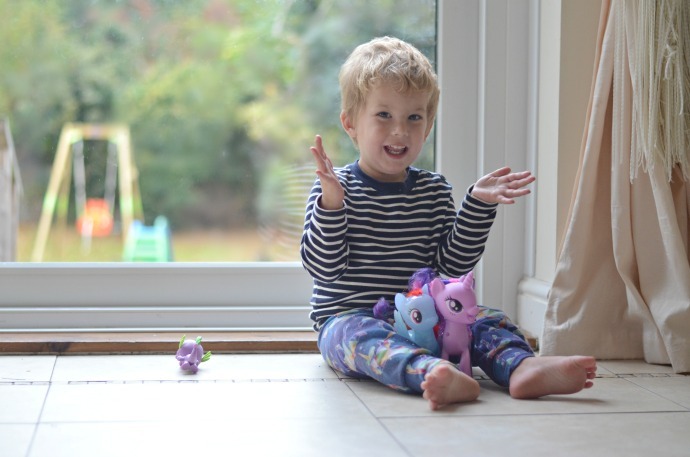 We have been working with Argos ahead of the My Little Pony Movie being released on October 20th and we were sent some of the toys for the boys to play with. 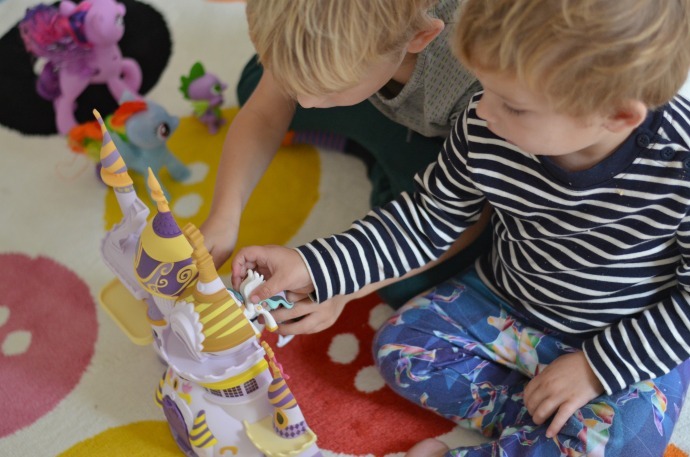 I chose two of the larger ponies as I thought they would be perfect for Finn to enjoy and the Canterlot Castle Playset looked perfect for Archie. 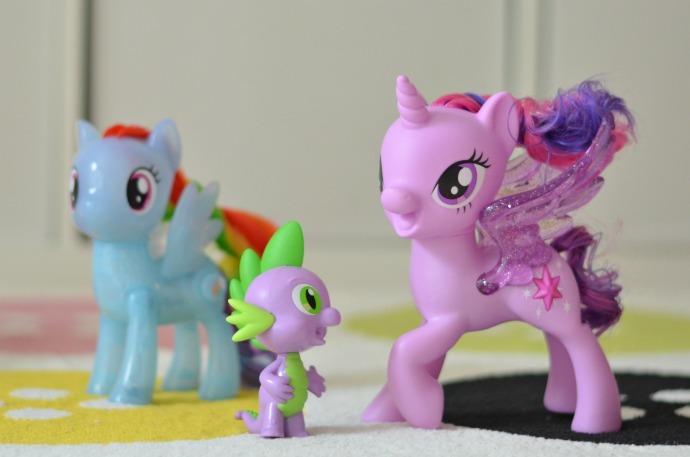 All three are available from Argos along with a selection of other My Little Pony products. We have watched some of the episodes on TV and the boys really enjoy it so I was excited to show them the toys. 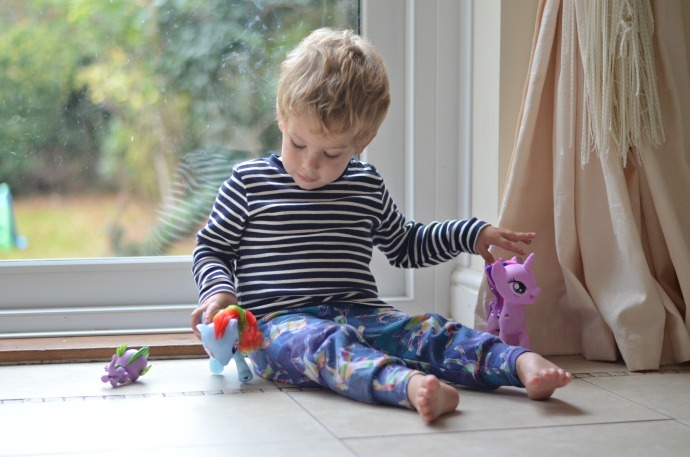 Finn loves unicorns and happened to be wearing his favourite 'loonycorn' trousers when I got out the toys so he was straight away drawn to Twilight Sparkle and Spike the Dragon. Twilight Sparkle has a star on her side that makes her sing when pressed and if you hold her best friend Spike up close then they sing a duet. Both toys came with batteries already included (a huge plus!) and Finn loves carrying them around. Rainbow Dash is one of my favourite ponies from when I was young and her rainbow mane is so distinctive. Rainbow Dash has a button on her side that when pressed lifts her front leg to give you a hi5 or to connect with the other ponies. Inside her hoof is a light and I think these ponies work really well if you buy both from the set so that they can connect with each other. 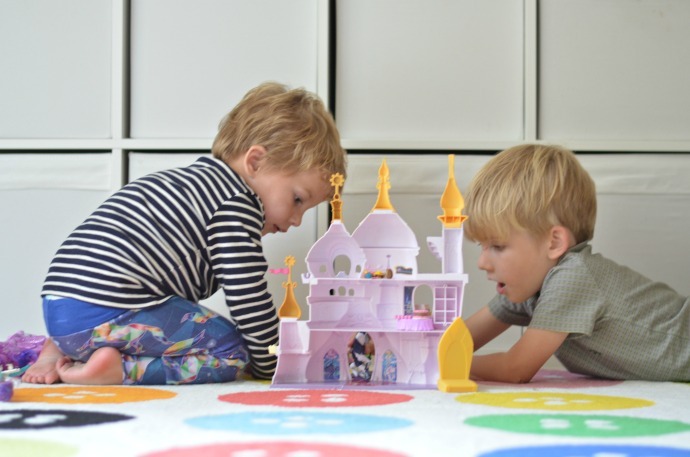 The Canterlot castle playset comes with lots of little features as well as Princess Celestia and the Storm King. 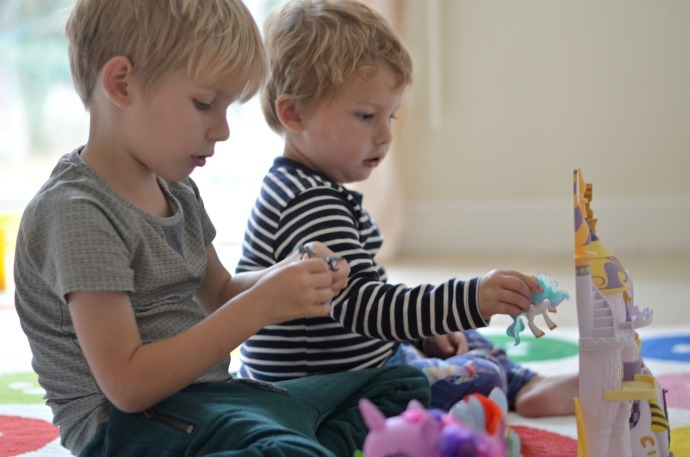 The boys haven't yet seen the film but they got stuck in playing straight away, creating their own scenes and letting their imaginations run wild. 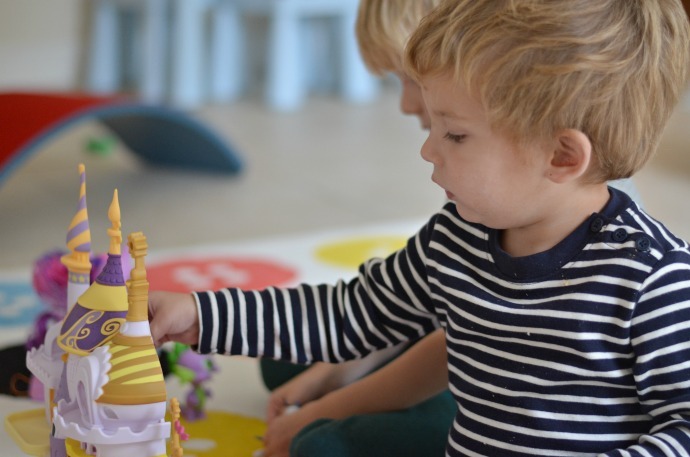 From the tiny table and toy cakes to the opening front door, there was plenty for them to interact with and I can imagine them using the castle set alongside other toys in the future. We can't wait for the film to come out next week and to probably expand on our pony collection with a visit to Argos. Their My Little Pony movie range varies in price from £14.99 to £79.99 and you can get free same-day delivery for only £3.95, seven days a week or you can reserve and collect in store for free. I was a huge MLP fan growing up, no quite sure I ever grew out of it - I'm so excited for the new film!